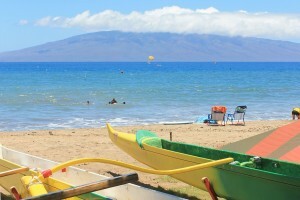 West Maui is home to loads of beautiful beaches, and the towns of Lahaina and Ka'anapali. To the north of this region, Ka'anapali and Kapalua boast plenty of higher-end condos and resort hotels, plus four world-class golf courses. 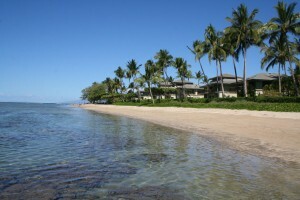 Lahaina, the most-visited spot on Maui, is midway around the head and where you'll find lower and mid-range lodging options. 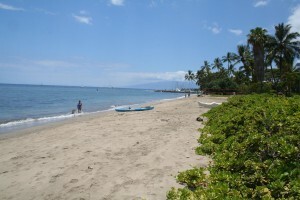 In a nutshell: West Maui is home to loads of beautiful beaches, and the towns of Lahaina and Ka’anapali. To the north of this region, Ka’anapali and Kapalua boast plenty of higher-end condos and resort hotels, plus four world-class golf courses. 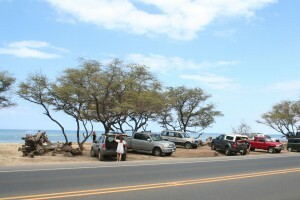 Lahaina, the most-visited spot on Maui, is midway around the head and where you’ll find lower and mid-range lodging options. 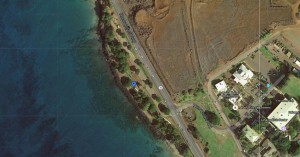 Minuses: Only one narrow two-lane road in and out makes for the most congested traffic in Maui. Park and surfing. Swimming marginal. 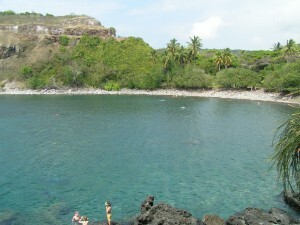 Small beach set inside a cove; fairly good snorkeling. 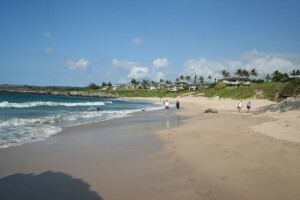 This cove is virtually a large swimming pool with a sandy beach. Beach of convenience for folks staying in the condos here. Tiny beach of mixed rock and sand. Unlikely to be worth your time. Best known for beginner's 20' dive. A great place to have a picnic from the many nearby yummy take-out joints. 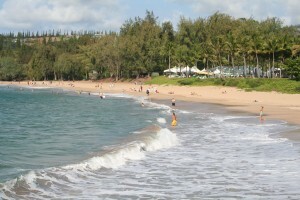 Long, narrow beach with shallow offshore reef. 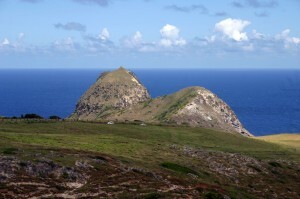 This is a good destination for snorkeling. 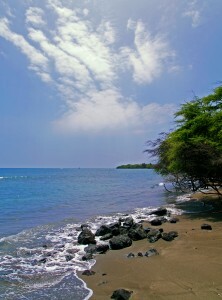 Also known as Mokule'ia Beach - a dramatic cliff-framed beach and bay. 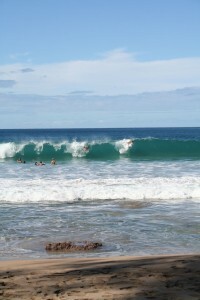 A less crowded, low-key resort beach with a much more family feel than many in West Maui. 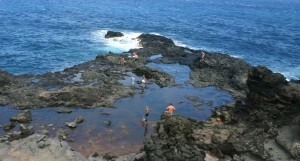 Honolua Bay is a spectacular place to snorkel or dive, if you know where to go. 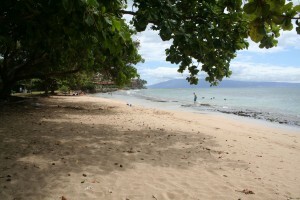 Long, sandy sometimes crowded beach backed by ironwood trees. Drive-up snorkeling convenience on a wonderful, less-than-crowded resort beach. 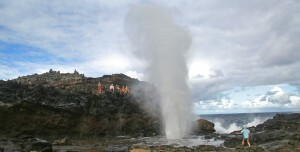 Blowhole and scenic rugged coastline hike. 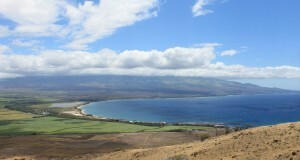 Eclectic old-time-sea-town-turned-tourism - with a uniquely Maui twist! 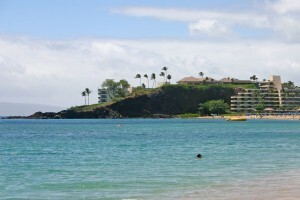 At the north end of Ka'anapali Beach, a great place to cliff-jump and snorkel.